My little twist to this --> I work in a library IT department. We have two offices separated by a section of the fiction stacks. Books are always catching my eye and I've gotten pretty good about ignoring them, other wise my TBR list would be HUGE. But these weekly memes give them the chance to see if the book would be worth checking out. 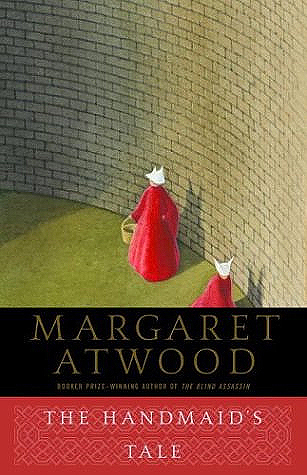 This week the book The Handmaid's Tale by Margaret caught my eye. Is that how we lived, then? But we lived as usual. Everyone does, most of the time. Whatever is going on is as usual. Even this is as usual, now. Everyone was talking about the book and there was a copy still on the shelf at the library so I picked it up. Then I found Gather Together and Read's A Handmaid's Tale - A #Resistance Readalong and decided it was the perfect motivator for me to read this book.